I hope you all had a fantastic and merry Christmas or holiday with your family and friends. I was lucky enough to spend it with my family, even for a few short days in between driving back and forth to Vegas. Just a side note...I have to say how much I love being Chinese! I can always count on restaurants being open on Christmas day! Woohoo!! And what better way then to celebrate the birth of Jesus Christ then going to a dumpling house eating a variety of delicious dumplings?! Steamed, boiled or fried? And of course...green onion pancakes and other tasty Chinese comfort foods? Always good to eat! Loved it! I've talked about it before, so I don't want to bore you with the same thoughts...just get it. And eat it with the pickled jalapenos...you'll see the picture at the bottom of the blog. I'm not sure what the English name they gave this, but it's sheets of mung bean that have been reconstituted and cut into strips and served with a variety of vegetables and seafood and tossed in some type of soy vinaigrette. My mom used to make this all the time when we were kids. This isn't something that I normally crave, but my sisters love it. Look at how beautifully they fried these potstickers? A lovely golden brown and nicely crispy, but still super juicy and tender inside. The flavor of the meat was simple and well balanced. I actually didn't even feel like I needed to dip it in my soy dipping sauce. I'd get this again. Good skin, liked the texture, the filling was tender, but not a lot of flavor. This needed a bit of a swim in the spicy soy...but not bad. I still like Supreme Dragon's better. I'm just a sucker for anything made from bread or deep fried. You just can't go wrong. My nephew had ordered some braised tofu, and the brown sauce is the perfect thing to dip this bread in. Yum! I've talked about the fish dumplings from Mandarin Deli before, actually I was just there like two or three weeks ago and didn't get a chance to post about it, but I've posted on FB a long time ago. I loved their fish dumplings, so delicate and tender...but incredibly flavorful because of the garlic chives inside. Well, I think I might have found a fish dumpling that has surpassed even the ones at Mandarin Deli. These were awesome! OMG! This definitely did not need to be dipped in anything. You can just pop them in your mouth...of course, be careful if they just came out, because you'll burn the f out of your mouth. These are a must order. Every place has a different way of making this...these were huge! We were not expecting one order to have four gigantic pieces. Now, normally I enjoy the garlic chive boxes, but there was something very funky about this one that I just couldn't stomach. Ok...many of you have had Thai food and they use that tiny dried shrimp in some of the dishes like green papaya salad etc... Well, I can NOT stand that super dry, super stinky shrimp. It just overwhelms my nostrils and palette and I just want to gag. Sadly, I believe they used those little shrimps or else the freaking essence of those damn little shrimps in here. I took a few bites and tried to enjoy it...but that smell just makes me ill. SO! If you don't enjoy the overpowering taste of those dried shrimps like me...don't bother ordering this. But it does look so pretty inside eh? Whoa! These were awesome!! If they sold this by the jar, I'd buy it! This was so damn spicy and good!! Like I mentioned above, this was especially tasty with the thousand year old duck egg and tofu! If you love spice...guaranteed you'll finish that jar of awesomeness! 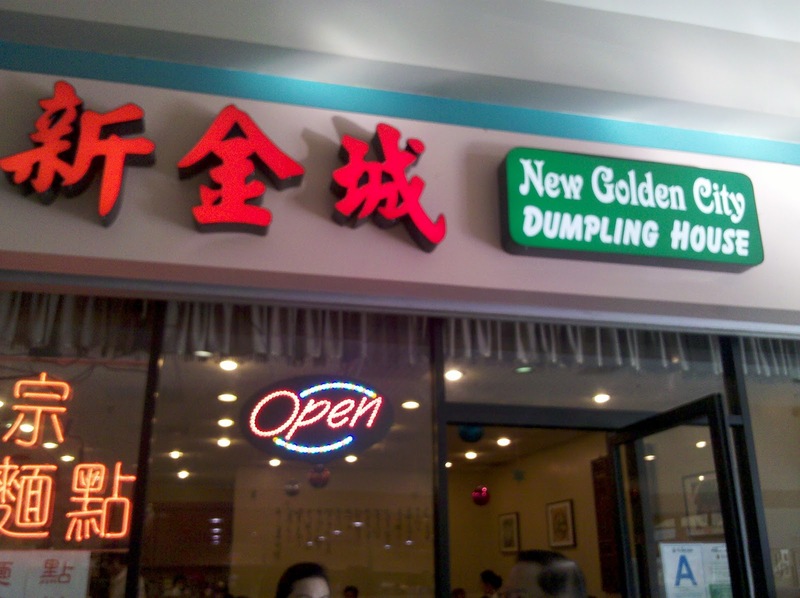 Let me just say how happy I am to have another dumpling house to go to!! And so close to my house too!! Thank you big sistah! If you are are looking for some great Chinese comfort food...check this place out. 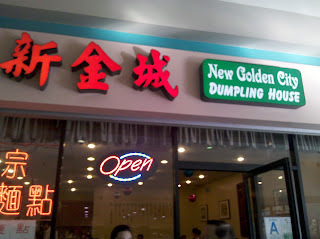 And if it's too crowded, you can go next door to Golden China...great handmade/shaved noodles too! That place gets packed too!